An rpg dedicated to Po. Awesome! Time to kick back and struggle to keep Po from destroying the valley of peace. Built using the Steel System this allows players to recreate the over the top shenanigans of Kung Fu Panda in a way that's totally bodacious. 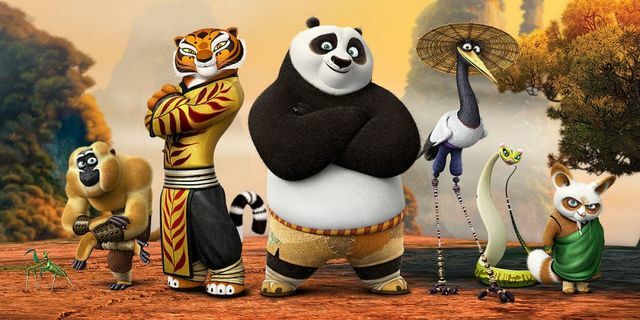 Kung Fu Panda takes place in a fictional alternate China populated entirely by anthropomorphic animals in an era where martial arts still play an integral role in people's daily lives. It centers around Po; a Panda, Kung Fu fan boy and also the Dragon Warrior. Awesome. His task, along with the Furious Five and Master Shifu is to keep the Valley of Peace safe from a never ending series of catastrophes that seems to hit this tranquil little town. Kung Fu Panda is one of the best documentaries I've ever seen. "Yesterday is History, Tomorrow a Mystery, Today is a Gift, Thats why it's called the Present"